We were over the moon this week to win one of marketing’s most prestigious accolades, The Drum Experience Awards for best Retail/ In-Store Experiential Brand Activation for last year’s dazzling Slideatron installation at Wembley Park. With eight other fantastic nominees for the award including CSM Live, MKTG UK and PAVE London, we’re honoured to have scooped the top spot. When commissioners, Quintain, approached us on 2017 to dream up something completely different for their annual Christmas activation, we had no idea that we’d end up collaborating on one of London’s most-talked-about seasonal attractions that year. Slideatron was an immersive 20ft tall Christmas tree-shaped structure (built entirely from recycled Layher scaffolding) and featured an 18ft thrill slide, viewing platform, and burst into ‘rave mode’ every hour with a spectacular light show and bespoke rave-style Christmas-themed soundtrack. But while Slideatron was located within the Events Pad at Wembley Park, a huge part of our aim was to galvanise visitor footfall and throughput to the adjacent London Designer Outlet. 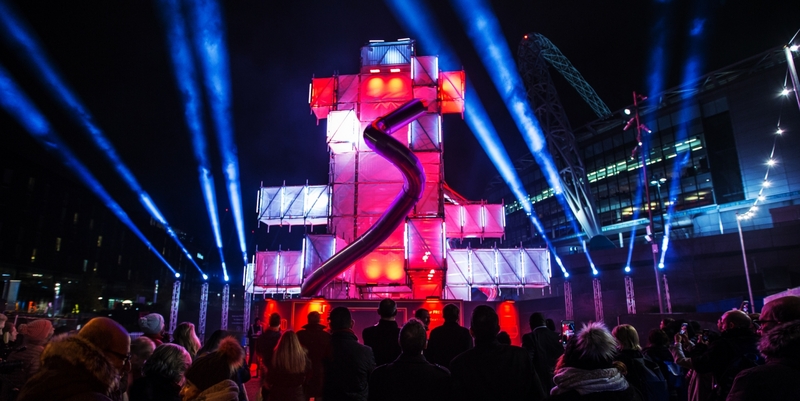 In the all-important commercial run up to Christmas, it was important that Slideatron served to benefit the retail and trade aspect of its locality, as well as help re-establish the Wembley Park area as a destination for arts, culture and entertainment. 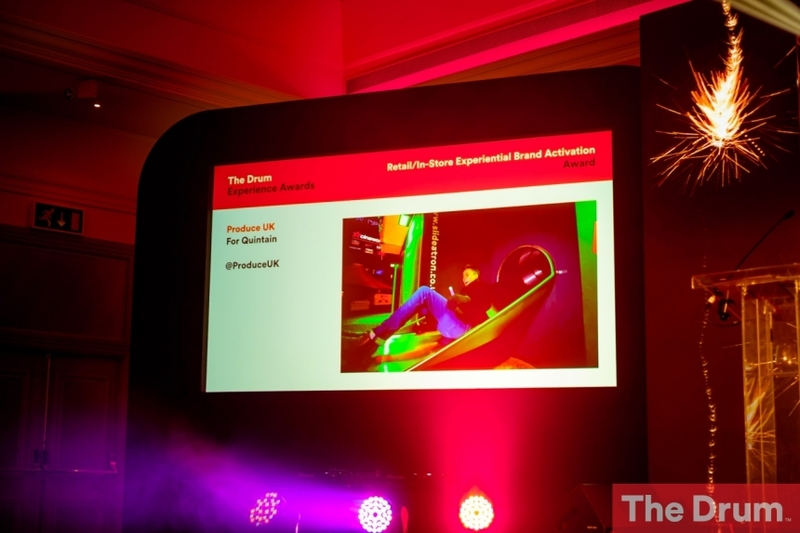 We also took the ‘highly commended’ spot in the Innovative Activation/ Event Of The Year Award – again, for Slideatron – while the mighty Imagination Europe Limited went home with the winning gong. A huge thank you to everyone involved in the creation of Slideatron, the team at Wembley Park and staffing from Hel’s Angels and a big shout to Quintain who were so keen to embrace such new placemaking territory. 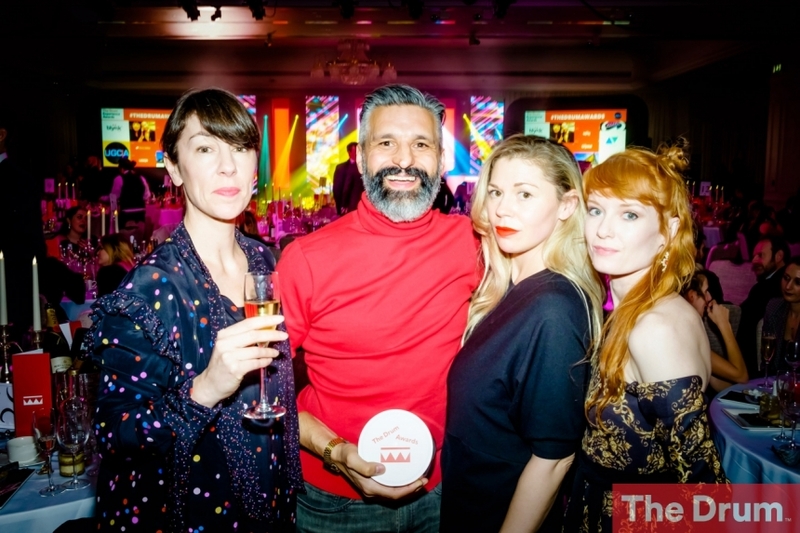 Indeed, thank you to everyone at The Drum Experience Awards for this exciting recognition – not to mention a great party at the Grosvenor House Hotel on 4th December. The team at Produce UK certainly feel like they’re ending 2018 on a high note with this award.